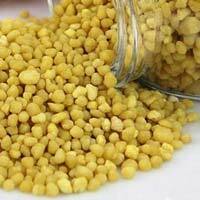 We are listed amidst the renowned Exporters and Suppliers of the wide array of DAP Fertilizer. Being a customer’s centric company, we are dedicated towards delivering experts’ certified array of Fertilizer (DAP). We are staffed with dexterous team members and they ensure that the DAP Fertilizer is as per the set standards and norms. We have premium-packaging material to deliver the same and this circumvents the loss during transit. Can be provide in bulk shipment or containers.